A Manchester filmmaker ran for 18 hours around a heart-shaped route in the city to commemorate those who lost their lives in the Manchester Arena bombing. 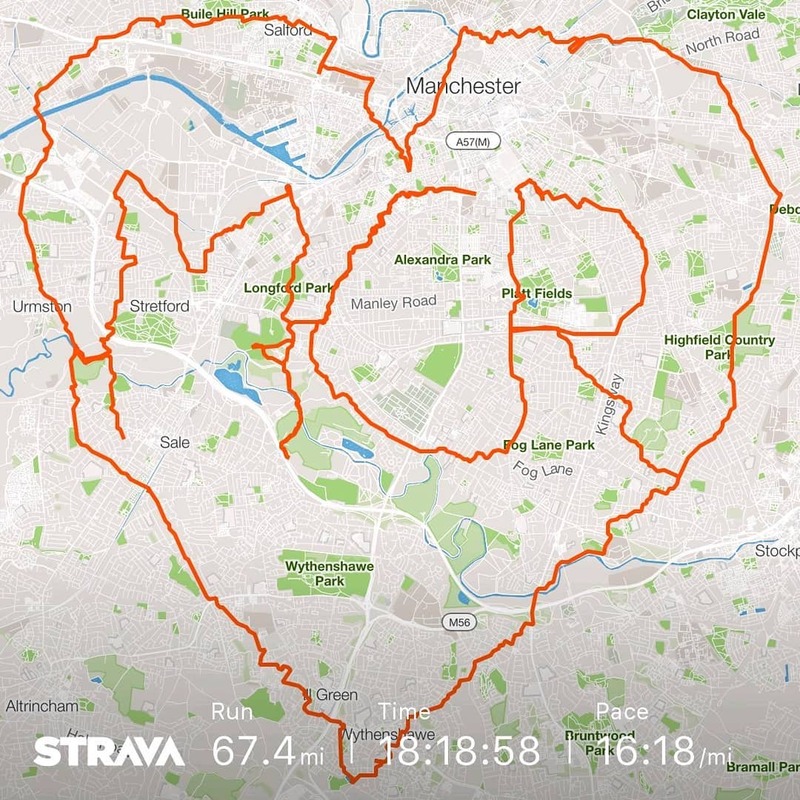 Nathan Rae, 37, ran for 67 miles along the route - designed in the shape of a 'heart MCR' inspired by the phenomenon of GPS art - finally reaching the Arena just after 11pm on Tuesday. Nathan, an award-winning filmmaker and graduate from Man Met, set up a Justgiving page to raise funds for the North West Air Ambulance, with the current total sitting at just over £4,000. He said: “The idea about this being a tribute to the victims of the bombings and a celebration of Manchester's response came first. When I realised that it would resonate with people and that people would really appreciate it I decide to add the fundraising element. 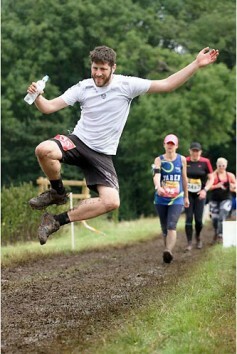 Other runners joined Nathan throughout his journey, a show of support that was seen all across Manchester on the day of the attack's first anniversary. He added: “I think it's important to respond to conflict and violence by trying to genuinely understand what happened and to be open to learn from it.